gear reducers use Kuo-Kuang Brand engine oil HD-150. After Initial 100 hours of usage, the interior of the reducing gear should be cleaned up and refill new oil. And then, after every 2500 hours of usage replace new oil again. Please contact with our company if the gear reducer will be used in special conditions, such as high speed, high temperature, low speed, heavy load, and forced lubrication and so on. 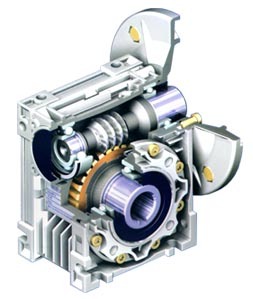 Insufficient lubricant oil may lead to the rapid wears of worm gear and low efficiency. Excessive of lubricant oil may lead to oil leakage.